Social media is continuously evolving and can be hard to keep up with at times. As you run your practice and focus on your business, it’s hard to keep up with the fast-paced changes of the social channels you use to connect and promote your business. To make it easier, we’ve rounded up all the LinkedIn updates—big and small—to ensure you don’t miss a thing. We hope the below helps bring you up to speed on LinkedIn – how to use it’s platform, how it’s evolving, and the new features and tools you can use to enhance your business today. One of our first LinkedIn blog features, we discuss the basics of LinkedIn, the platform’s enhancements and features. This article will provide you with the very basics of LinkedIn that you may have overlooked or not understood, such as language, accessing and editing your company page, and more! This blog post is a great resource to utilize especially if your looking to attract prospective leads. LinkedIn is known as the lead- producing power, and with 3 simple steps we uncover how to better network and connect with your target. This blog post is especially geared towards financial advisors. In such a competing industry, it becomes tough to differentiate yourself online especially via social media. We showcase 5 steps to create the perfect LinkedIn profile that best promotes you and your business. A main priority of running a financial planning business is your clients. Making time for social media becomes tough, but in order to stay relevant within your network it is important to stay active. 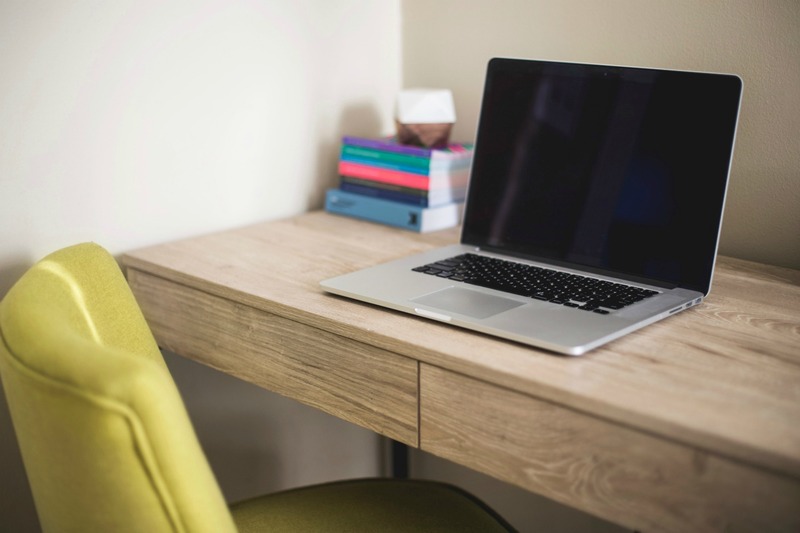 In this blog post, we share helpful tips that you can utilize to stay connected on LinkedIn. Since its creation in 2002, LinkedIn has grown to be one of the most important websites for online networking and is continuously improving upon the platform. Here we showcase new features for company pages. Tabs are updated with new ways to promote, connect, and stay engaged. 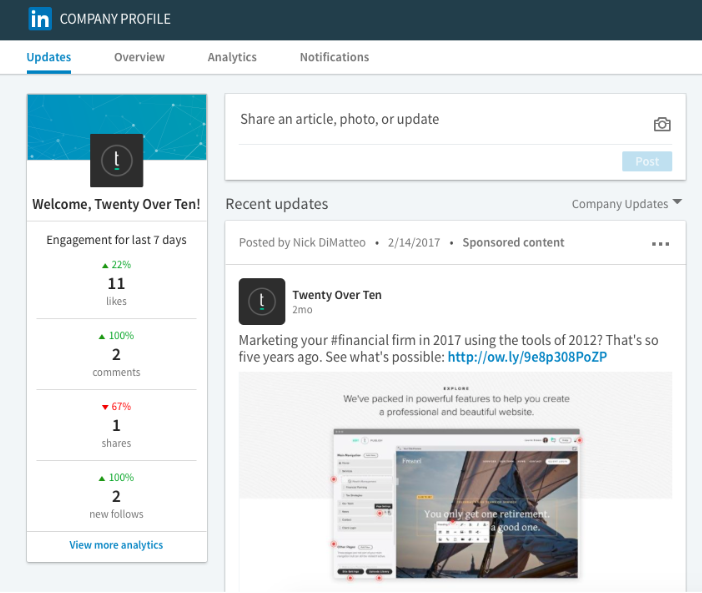 And now, you can even showcase pages, which is a new feature that allows you to further your company’s presence beyond just your company page. 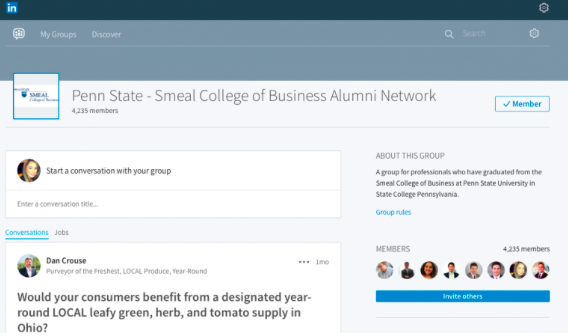 LinkedIn groups, advanced search, and interacting with groups and circles of influence are just some of the ways you can leverage your business through LinkedIn. We provide 5 tips to gain potential new prospects, and connect with individuals and thought leaders within your network. Over the last year, LinkedIn has made a few key updates, some of which you probabaly noticed and some you may not even know exists. We’re diving into the the new hompage, trending topics, publishing platform, article analytics, and AI chat to give you tips on how to best utilize them for your advisor business. 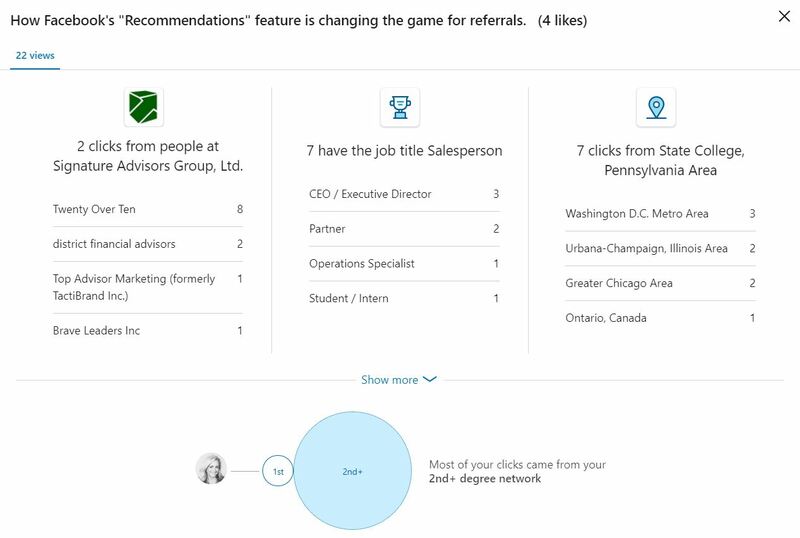 We hope this roundup sets you on the right track with LinkedIn and leads you to success in connecting with prospective clients and other professionals in your network.